The number of public charging points for so-called “new energy vehicles” — that is: plug-in electric vehicles and hydrogen fuel-cell vehicles, amongst a few others — in China grew by around 51% during 2017, the country’s Industry and Information Technology Minister Miao Wei has revealed (as quoted by the country’s official news agency Xinhua). 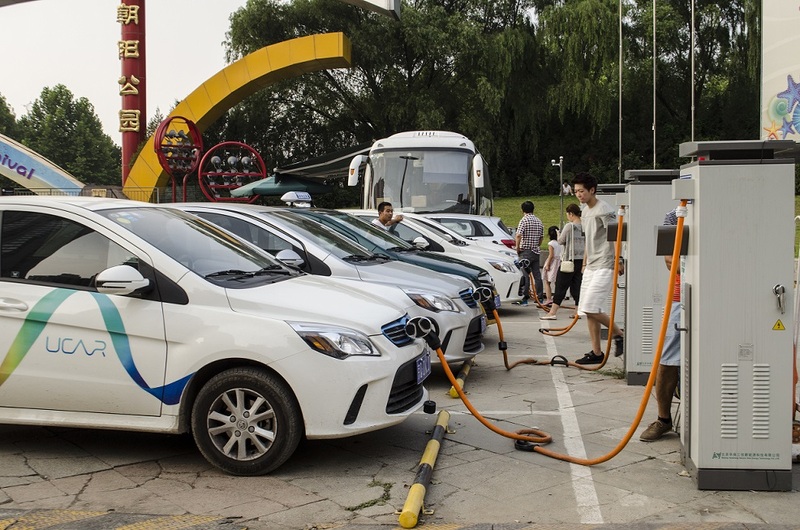 To be more specific, the number of public NEV (new energy vehicle) charging points in China grew to 214,000 in 2017 — which means that the country is now home to the largest number of public NEV charging stations in the world (by country). That said, public charging infrastructure development is still lagging behind demand, if the country’s Industry and Information Technology Minister is to believed (going by comments made recently at an industry forum). And why shouldn’t he be believed? Remember that the Chinese electric car market is now larger than the rest of the world’s, combined. It also has tens of thousands of electric buses on the road — with Shenzhen alone having a 100% fully electric bus fleet of nearly 17,000. Before moving on, I’ll note here that the issue with the lack of charging infrastructure is exactly why I remain fairly positive about Tesla — in addition to its battery manufacturing advantage, the company’s large and growing Supercharger network is a great advantage over the incumbents. In related news, it’s worth a reminder here that China’s government announced back in December that it would be extending its NEV tax rebate program through the end of 2020 — which means that NEV sales growth should remain fairly strong for the foreseeable future, and thus, the need for rapid growth of the charging network will remain strong as well.